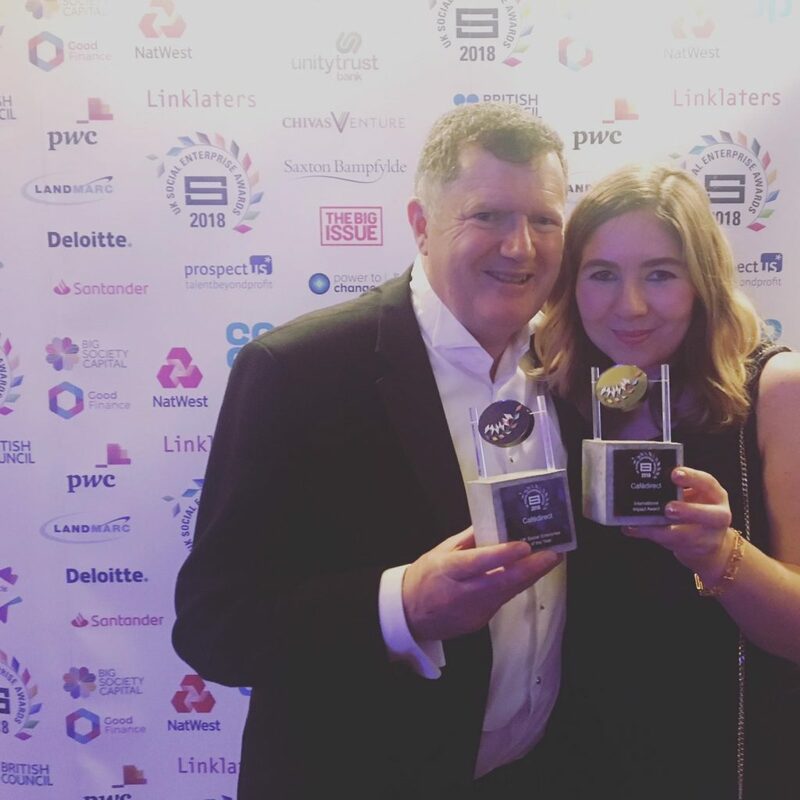 We are delighted to share that we won two awards at the annual Social Enterprise Awards held this year at the historic City of London Guildhall. The evening was introduced by Lord Victor Adebowale CBE who shared an astonishing fact that Social Enterprises together pay more tax than Google and Facebook! Mark Watson, the endearing half-Welsh comedian, then warmed up the excited crowd that seated more than 450 people who represented social enterprises from across the UK. As Mark charmed the crowd, we made friends with those seated at our table, including Madlug, who won the UK Consumer Facing Award for their brilliant work for children in care. 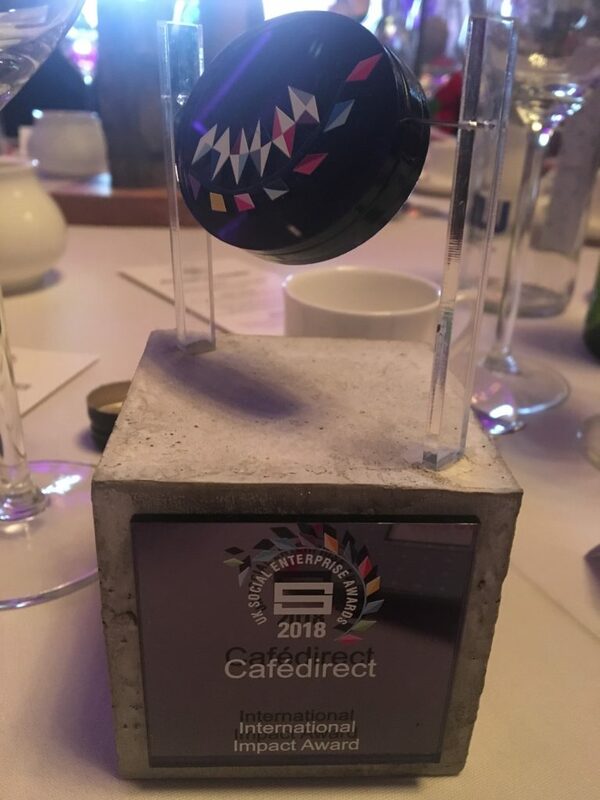 When Cafédirect was announced as the winner for the International Impact award, the CEO of Cafédirect, John Steel, walked up to the stage to the accompaniment of ‘All around the World’ by Daftpunk. (We hadn’t realised that we could have chosen our own music!) In slight shock, John thanked the team at Cafédirect and Producers Direct, who are the farmer-led charity that deliver the international impact working alongside 38 co-operatives in 14 countries worldwide. 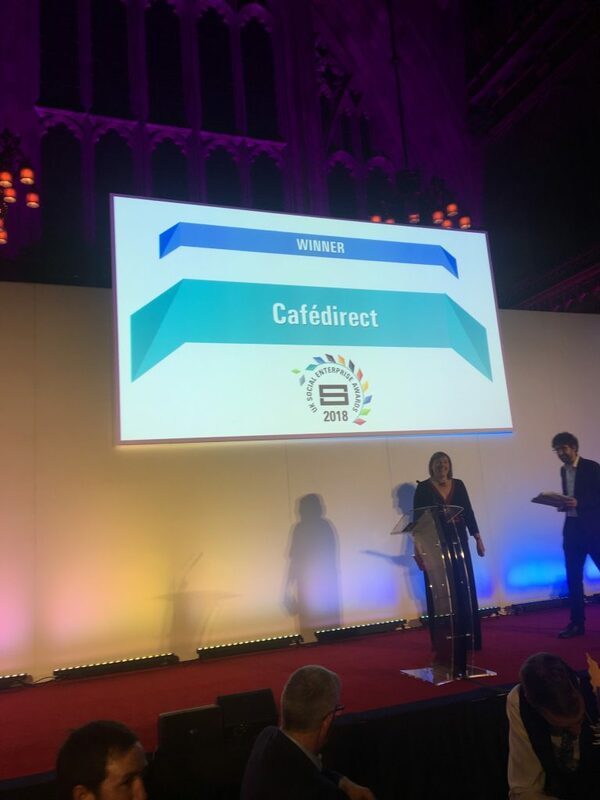 To date, Cafédirect has invested over £6m in Producers Direct and we were delighted that this work has been recognised. The award we received was designed by the wonderful team at Designs in Mind, that we happened to have met earlier in the evening. They already knew that we had won but managed to reveal nothing to us! From decline to success! The turnaround in Cafédirect’s fortune this last year has paved the way for a successful application. Re-branding, acquisitions and increased performance all aiming at improving the lives of smallholder farmers in developing countries, whilst conducting business ethically and fairly make this a worthy winner.